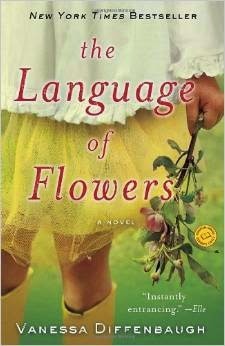 I've been meaning to mention the fact that there is a bestselling book called "The Language of Flowers" too! It's about a young woman who has had a rather sad and lonely childhood growing up in foster care, who finds meaning in the beauty of flowers and the Victorian "language of flowers" and through this gift is able to connect with and help other people. I haven't read it myself, but it sounds intriguing. Thanks to Design Team member Michele Storms for sharing this with me, so that I can share it with you! Have you read it? I have read it. I stumbled across it while browsing for books and it was a better read than I actually anticipated (it was discounted) - some areas of the book are slightly predictable but on the whole it was a reasonable read and I enjoyed discovering the meaning to flowers as my previous knowledge was limited. I've read this book and I loved it! Sunflower: One last reminder for Flowers & Fans! Victorian Flowers & Fans Challenge: Second Week! Favorite Flowers -- Join the Challenge!